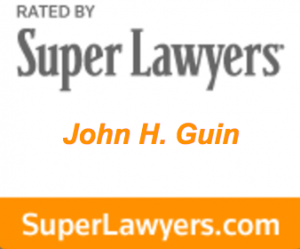 As the sole attorney at the Law Office of John H. Guin, PLLC, my mission is to help clients achieve effective results quickly and efficiently. To accomplish this mission, I provide individual attention to each client’s needs. Achieving effective results often requires aggressive litigation to protect client interests. Other times, an effective result requires a candid assessment of a case and counseling with the client to determine the best solution to a complicated problem. In most cases, the best representation requires both the skills of a litigator and the knowledge of a legal counselor. I bring nearly twenty years of experience helping clients address their needs in litigation and appeals, in business and contract development, and in arbitration and mediation. If you have complex construction, commercial, or business issues arising in Washington, Idaho, Montana, or California, please contact the Law Office of John H. Guin, PLLC to determine how our firm can help address your needs.